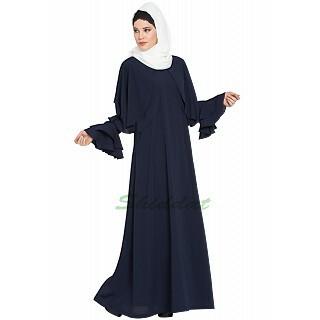 A designer abaya with perfect detailing like a Dress. Double layers of jacket like cape and bell sleeves make it more stylish. 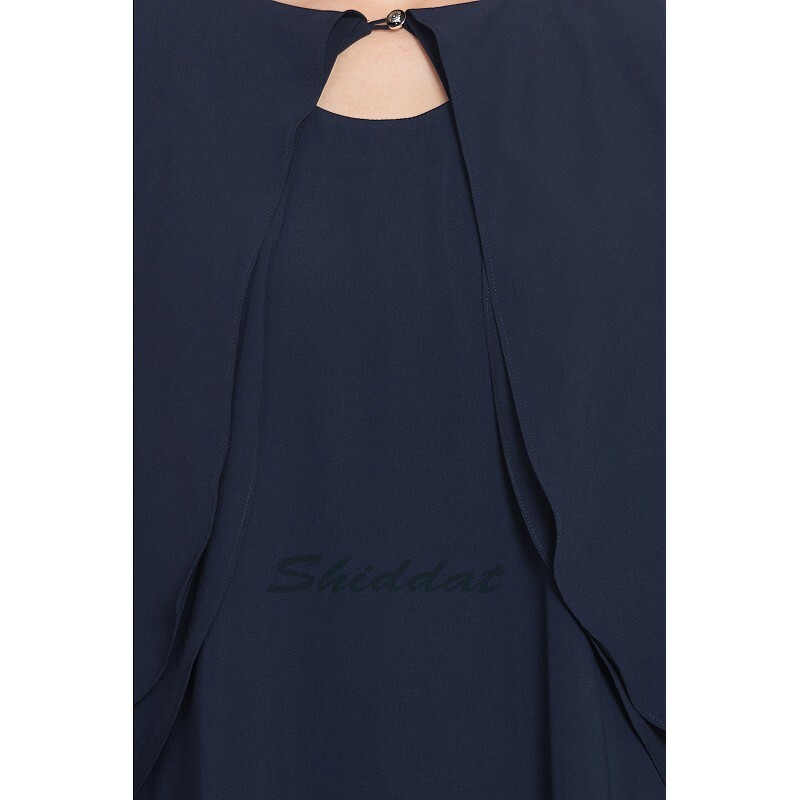 This article is made of "Nida-Matte" fabric which is very Soft, Breathable, Light Weight and easy to maintain. It gives a good fall to the garment. Customization is possible upon request.